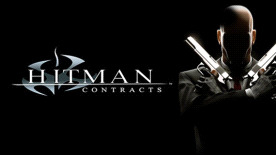 Enter the world of a HITMAN - a world of crime, sin and greed. Delve into the mind of Agent 47 and encounter his greatest adversaries, completing the work that made him so brutally efficient and shaped him as an assassin. Eliminate your targets by any means necessary. There are no rules... only the contract, signed in blood. Travel the globe eliminating international terrorists and crime bosses from your hit list. Complete your mission objectives with a wider variety of tactical approaches. Improvise on the job, picking up disguises and environmental objects to use as weapons. Advanced enemy intelligence uses squad-based tactics to try and stop you.